An other day at the Gornerglacier, with bright sunlight. 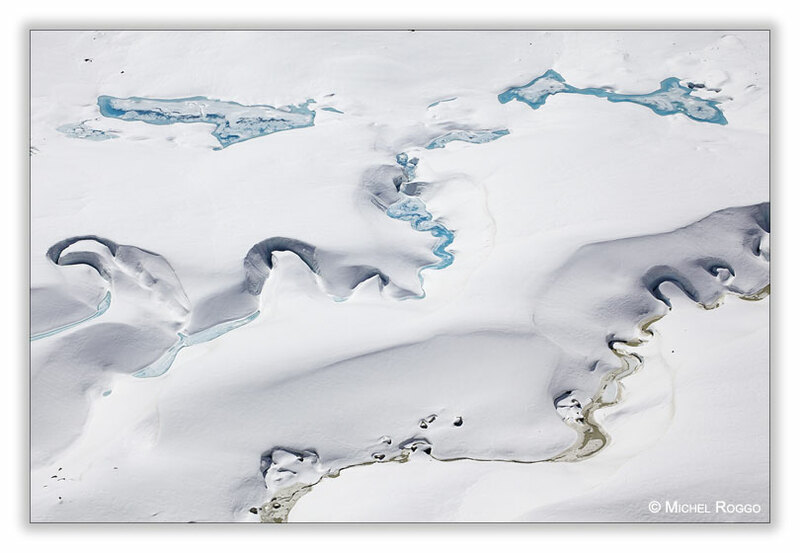 Again photographs of the meltwater channels, some with blue, some with yellow water. As this glacier is very cold and frozen at the ground, the water has to flow at the surface. 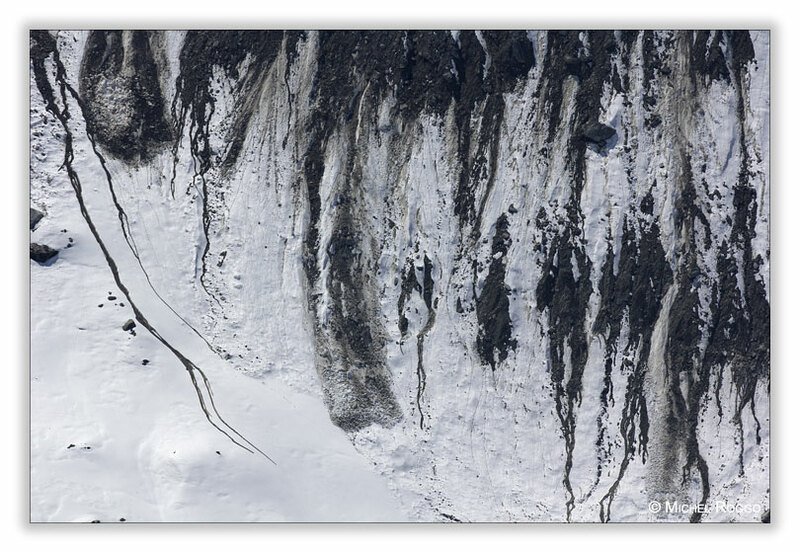 And some images of the opposite glacial moraine, with snow and ice melting and flowing down to the glacier. I did it with a 500 mm telephoto lens, with an APS-C camera, what makes an effective focal length of 800 mm. 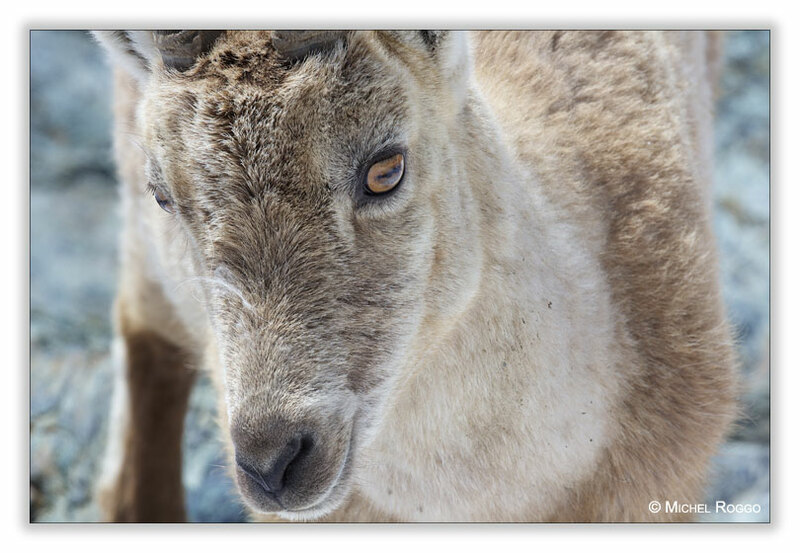 Suddenly, an Alpine ibex came up the hill, right in front of me. With the huge lens I made some portrait shots, very close-up. Then the Ibex vanished again in between the rocks of the steep hill. That was a good surprise, as I was just expecting some landscape photographs.